Insurance is one of the few industries that has been left untouched by technological disruptions. In the wake of increased globalization and deregulations, the insurance sector is now moving slowly towards technological innovations. The application of blockchain in cryptocurrency and their subsequent growth has not gone unnoticed in the insurance industry. Multiple organizations are now gearing up to implement blockchain technologies in the insurance. This article seeks to examine some of the critical pain points of the health insurance and proposing some practical blockchain solutions to the issues. One of the biggest challenge facing the global health insurance industry is fraud. A study by Reinsurance Group of America indicates that one out of 30 insurance claims is fraudulent. In the US alone fraudulent health insurance claims amount to upwards of $68 billion annually. This represents almost 3% of the national healthcare budget of $2.26 trillion. Some other studies have indicated that the figure could be much higher in the regions of $230 billion. These statistics generally act to portray the massive losses that are incurred by taxpayers as a result of insurance fraud. The insurance industry has also been plagued with numerous high-profile data breaches. Health and insurance records are becoming more and more valuable to hackers each passing day. Healthcare data breaches often expose highly sensitive information, from personally identifiable information such as Social Security numbers, names, and addresses to sensitive health data such as Medicaid ID numbers, health insurance information, and patients’ medical histories. Today, medical records are estimated to be worth more than $1000 in the black market. The onus is therefore on insurance companies to provide maximum protection of their customer’s data. The insurance industry has been continuously faced with the challenge of slow processing of claims. The industry has gained notoriety for its lethargy, with a “paperwork crisis” whereby a claim goes through as many as 300 physical people. Cases of missing records and data are rampant throughout the industry causing claimants significant strife. A user is essentially required to own his health records, pay for them and take it to the insurance company. As a result of slow processing and contradictory policies, users have been left with an innate distrust towards insurance companies. Most of the information pertaining to insurance and health records are often found with disparate stakeholders such as regulators, tax authorities, policyholder, physicians, credit agencies, insurance companies, and medical institutions. Each of these stakeholders operates their own information silos. Insurance providers are thus required to incur increased processing fees in order to aggregate and consolidate this information. Another challenge facing the health insurance industry is the ownership of data. Insurance consumers are unable to access their records instantly in case they need to change their plan, provider or physician. Data is largely owned by the insurance company and consumers have little control over how it is used or managed. With features like decentralization, data integrity, immutability, and smart contracts, blockchain is strategically primed to handle some of the aforementioned pain paints. Numerous experts and studies have argued against the implementation of blockchain for storage but they all agree that blockchain is integral in implementing: data ownership, better access, and maintenance improving data integrity, as well as ensuring real-time and proper documentation of transactions. Below we look at how some of these aspects can be implemented in the context of health insurance. After a transaction is done in a blockchain platform it is irreversible and permanently recorded in the ledger. This improved security and integrity can help in building trust between entities. 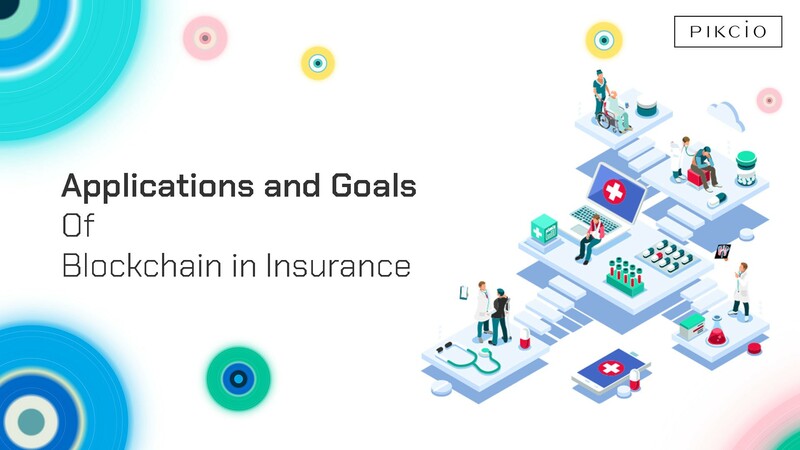 Integration of blockchain to the health care systems will, therefore, provide a platform for increased interoperability and collaborations between insurance stakeholders. While blockchain may not solve all the interoperability problems encountered today it will definitely help in reducing most bottlenecks. The use of smart contracts to execute transactions when certain conditions have been met or unmet will also help in promoting administrative and strategic imperatives. Insurance companies can now integrate their internal policies to the systems using smart contacts. With an already set procedure, most issues of contradictory policies will also be ironed out. Blockchain will also aid in abating and detecting fraudulent activities within the system. For any transaction to be validated within the Blockchain platform it must undergo through a series of validation. It is therefore virtually impossible to alter or falsify information on the blockchain network not unless one owns 51% of the network. Blockchain technologies can also help in simplifying the insurance application and processing by making it more customer-centric. The patient owns his/her medical information and has the rights to provide it as per needs without relying on any other external agency. This will overall help in expediting processes and operations. Over and above insurers are faced with the need to reduce administrative cost, increase automation, as well as integrating new systems and protocols, while maintaining data integrity and accessibility. While traditional IT departments can help in implementing these goals, blockchain is a more robust and reliable option. Insurers should, therefore, proactively seek to experiment and develop proof concepts and models that will form the next-generation of products and services in the insurance industry.